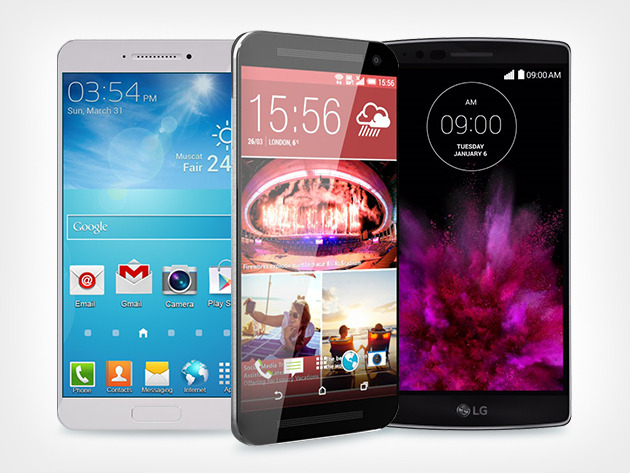 Android means business this year, with some seriously powerful devices lined up for 2015. And we’ve got the best of the lot to give away. Enter our sweepstakes for a chance to win your choice of a brand new Samsung Galaxy S6, an LG G Flex 2 or an HTC One M9. It’s so easy to get your hands on these stunners! Simply visit our giveaway page, enter your email address and hit Enter Now. That’s it! You can also improve your chance of winning, by sharing the offer on Twitter for extra entries. The more your followers participate, the better your chance of scoring a top-of-the-line Android phone. Are you still here? Head to the giveaway page and get in on the action right now!